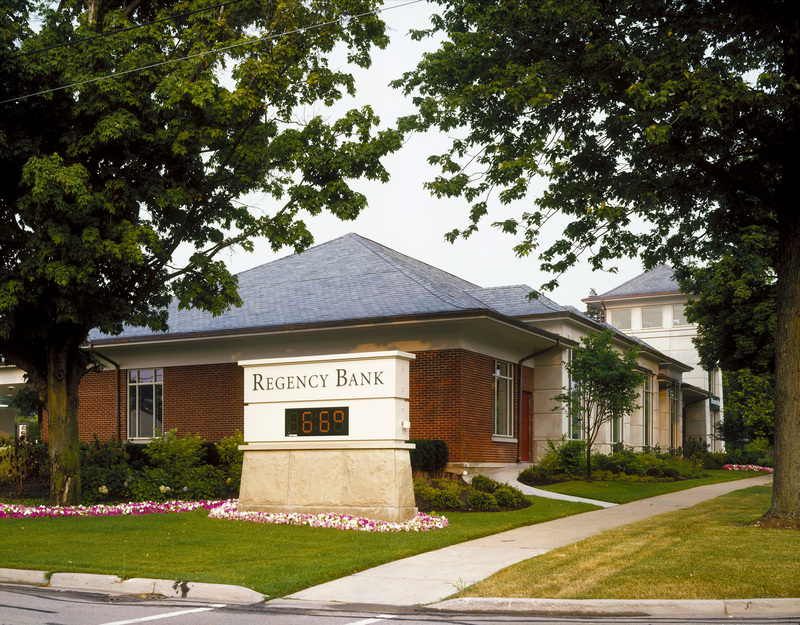 The Regency Savings Bank building is a 1960’s colonial located on a prominent street corner in downtown Geneva, IL. Wright Heerema Architects was challenged with repositioning the building to make it a visible and prominent structure to residents. 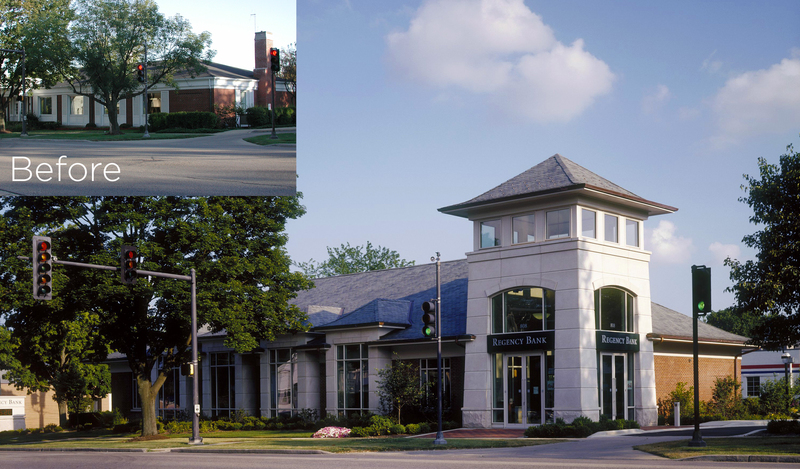 Previously called Park National Bank, U.S. Bank's building floor plan was reconfigured to place the main entrance at the corner and closer to customer parking. 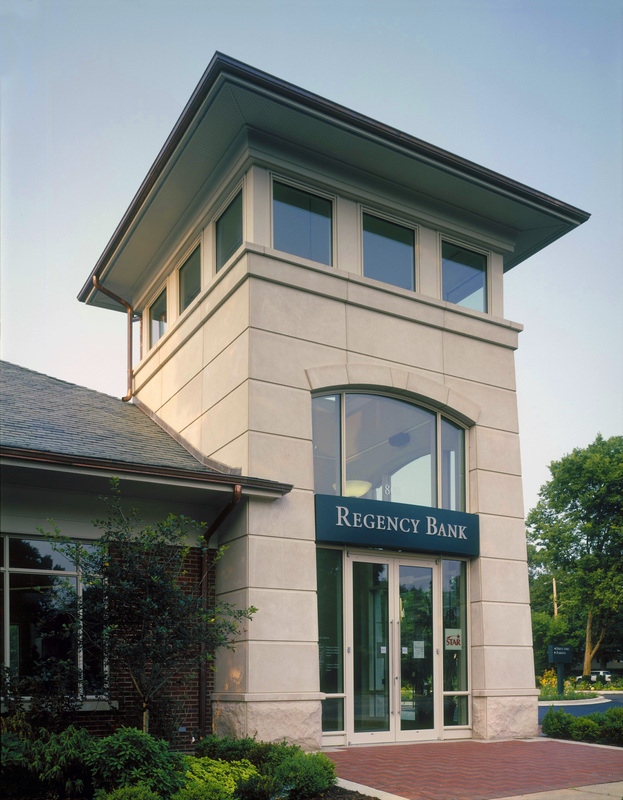 WHA gave added attention to the corner by incorporating a limestone and glass tower into the design. 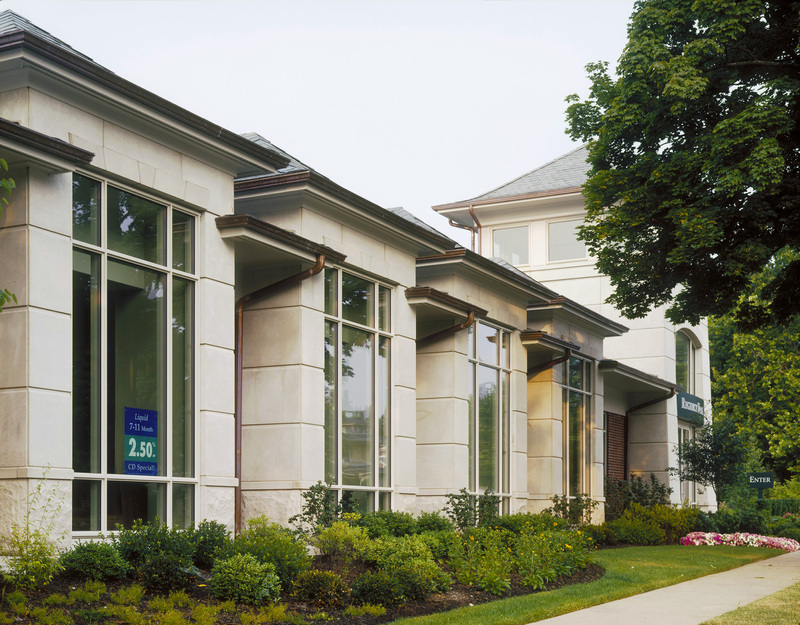 The building's overall scale was improved by designing a taller and steeper roof in natural slate. Prominent windows along the street are accented with projected slate and limestone dormers, offering views into the building from the street. The final result is a remarkable transformation. What was once a building that blended into the background is now one that presents a dignified and fitting image within downtown Geneva.